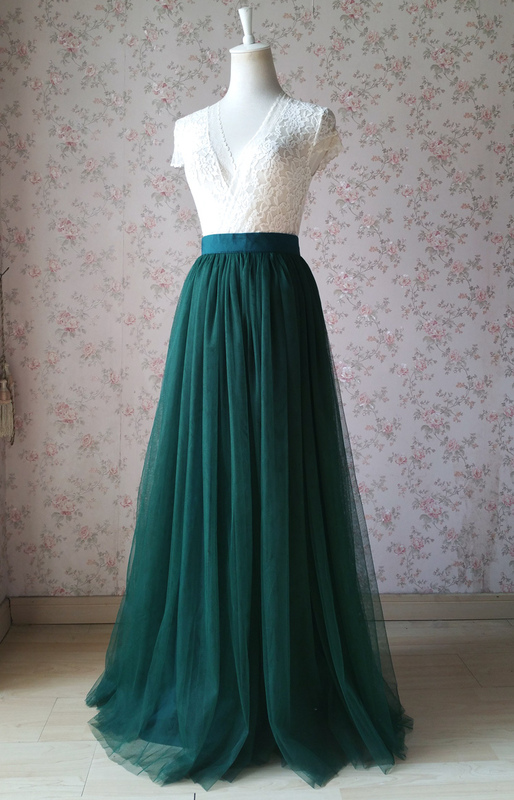 DARK GREEN TULLE SKIRT, GREEN WEDDING BRIDESMAID SKIRT, Floor Length Tulle Skirt, Green Bridesmaid Outfits, Custom for any size, any length, with lining, ealstic waist / fixed waist, don't miss it! 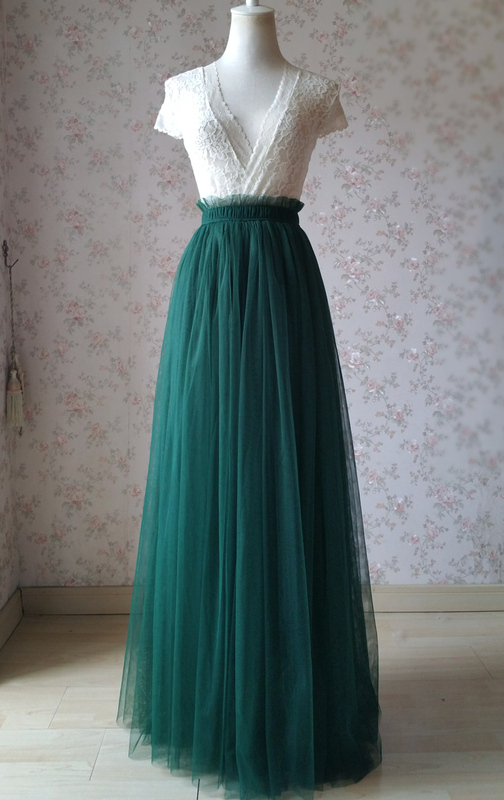 -Dark Green as picture showed, No. 58. 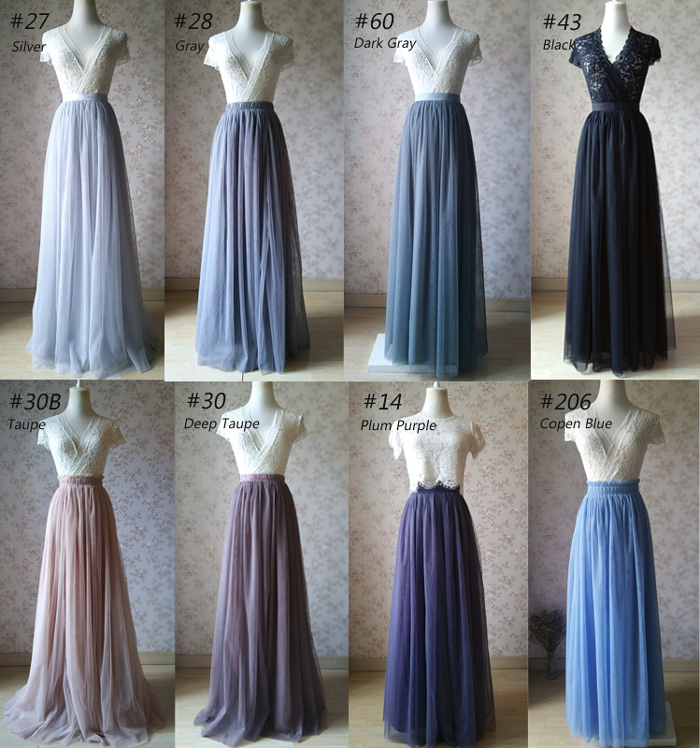 -All colors are available on the color chart. 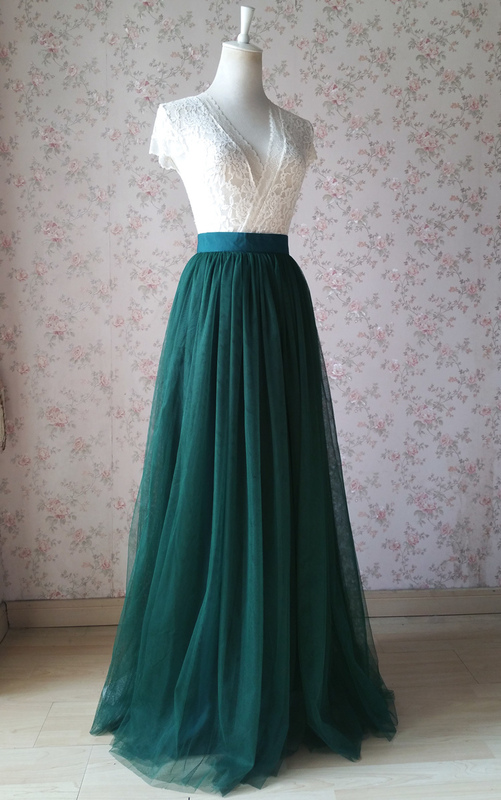 Extra Maxi Length: 51in Waist to Hem (This option will be charged the additional custom costs as USD10, Please contact us if you need this length option). 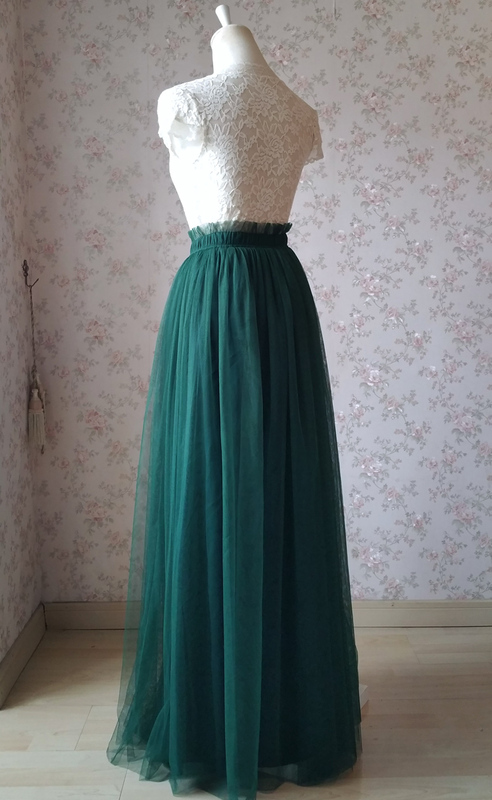 - Default elastic waist band as picture showed. 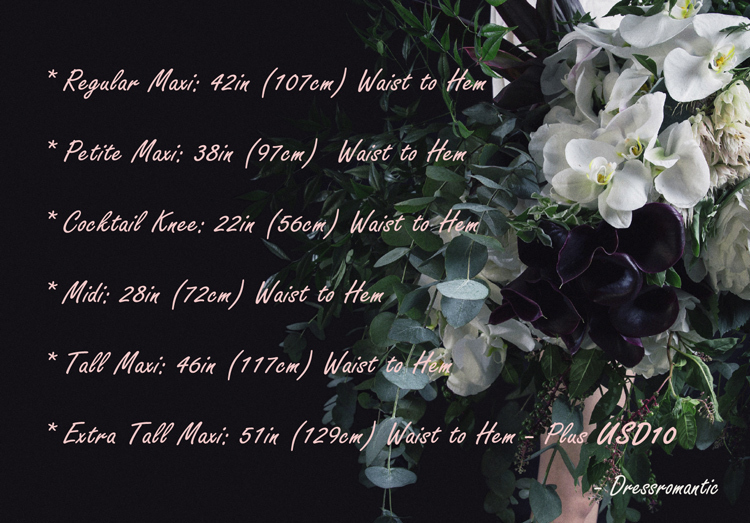 - For fixed waist band, please add your request in the note while you place order. 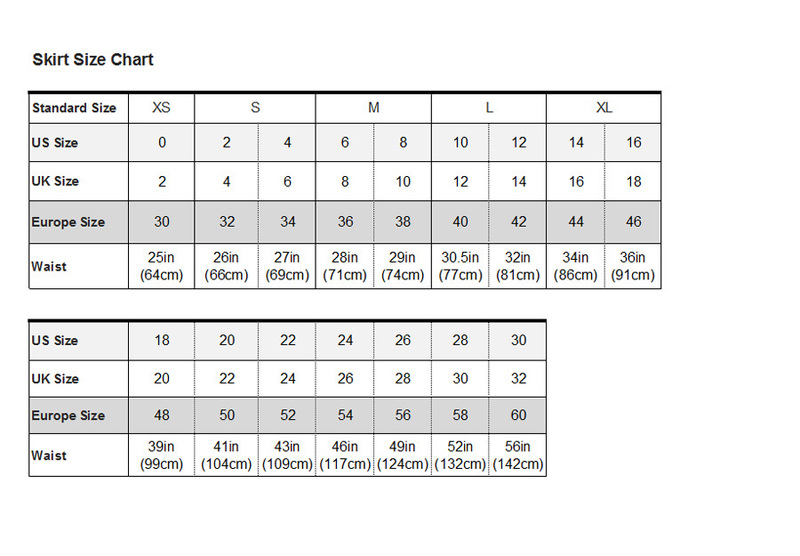 * Size / Measurement: Please check the size chart. If you need assistance, please let us know. * Processing time: around 5-8 business days. For any speical timeline, please let us know firstly. - All the items are shipped out by EUB's air mail with a registered tracking number. 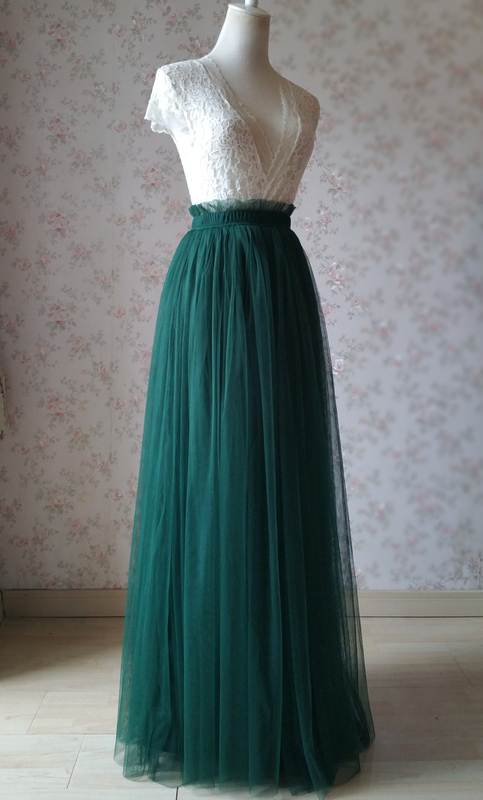 It will take 10 days to arrive. Occasionally it may take longer time, But in most of cases, it's prompt and safe.